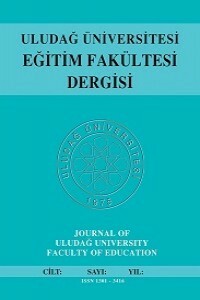 Journal of Uludag University of Faculty of Education (JUUFE) is one of the well-established journals in Turkey. The JUUFE was founded in 1986 and published in printed form untill 1999. Since 1999, we have published the papers electronically. The journal uses double blind review procedures and biannually (June and December) publishes the papers. Each paper includes English abstracts and those published after 2014 have also included 1000-words extended English abstracts (at the end of each paper) including the summaries of introduction, methods, findings, discussion and conclusions. The papers in the JUUFE not only focus intensively on regional educational issues but also use this regional knowledge to inform national and international implications.